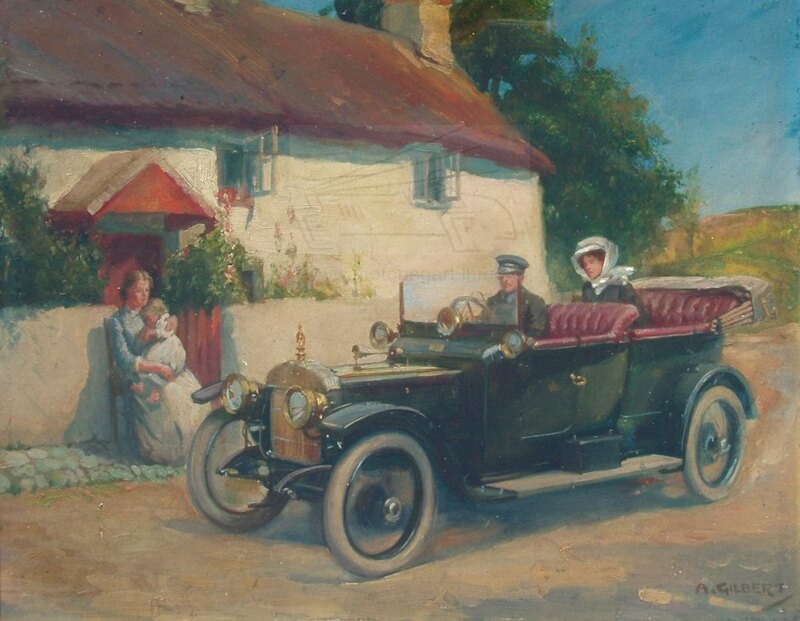 Early oil on board of a Daimler with a view of Queen Alexandra (?) and chauffeur. Picture is believed to be an early publicity illustration. Art was in a small archive belonging to Instone, early race driver and Daimler Director.